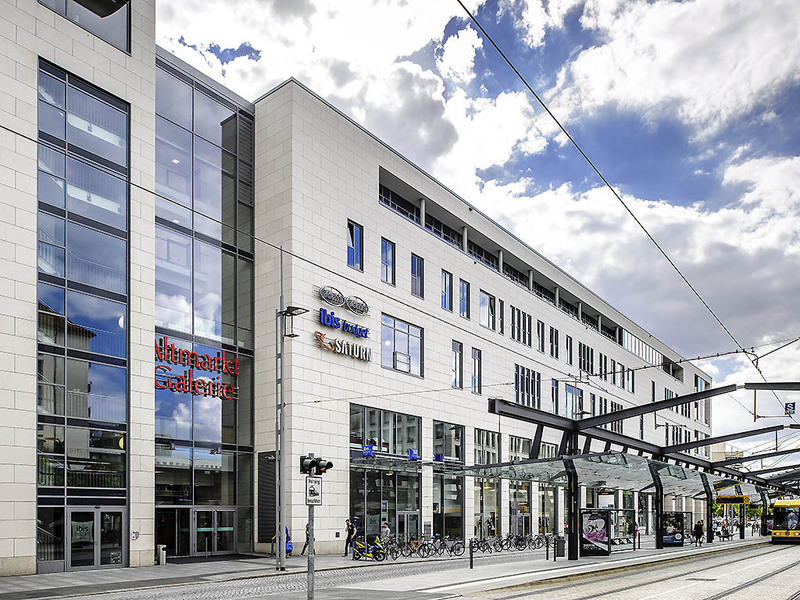 The ibis budget Dresden City is located in the heart of the city in the Altmarkt Galerie shopping center, close to the major attractions of Dresden's Old Town, which is just a short walk away. The hotel offers 203 comfortable and functional rooms with air conditioning, LCD TV, free WIFI and state-of-the-art security facilities. We are pleased to offer a delicious buffet breakfast each morning, served in the cafeteria. Ideal location with easy access to the major attractions. The hotel is situated in the Altmarkt Gallerie with excellent shopping opportunities.